Payyanur, an unacknowledged destination located in the North Malabar region of Kerala in India is a treasure trove to experience the rustic beauty of nature along with traditions and culture of Kerala. Surprisingly, the nondescript town of Payyanur harbors many hidden charms where one can experience the best of Kerala, referred to as Gods Own Country, with pristine sun-kissed beaches, tranquil backwaters, and unique cultural celebrations. The nondescript town of Payyanur harbors many hidden charms where one can experience the best of Gods own country- Kerala with pristine sun-kissed beaches, tranquil backwaters and unique cultural celebrations. Being one of the ancient civilized places in North Kerala with a recorded history, Payyanur claims a glorious heritage. The area around Payyanur which once encompassed the ancient ports and ship anchors has found mention in the travel scripts written by renowned travelers like Ibn Batutua, Barbosa, Nicholo Kondi, Marco Polo and Abul Fida. While a lot has changed in the quaint town from its heydays, Payyanur has retained its rich heritage and natural bounty. Here are 8 activities you should try to experience the magic of the paradise called Payyanur. No trip to Kerala is complete without experiencing a cruise in the backwaters. While Alleppey and Kumarakom are the most popular backwaters in Kerala, the Valiaparamba backwaters formed by the interleaving rivers near Payyanur in North Malabar is something you should explore to experience its tranquility. Hop on one of the public transportation boats that sail between various islands in the backwaters and get insights into the laid-back life of the locals. Visit the backwaters early in the morning to catch a glimpse of the local fishermen spread out their nets to catch fish. If you wish to spend a night sailing on the calming backwaters, you can even hire a houseboat all for yourself. Unlike the popular backwaters of Kerala, the Valiaparamba has very few houseboats owing to less tourist influx and thus exclusivity is guaranteed when you try the backwater cruise near Payyanur. 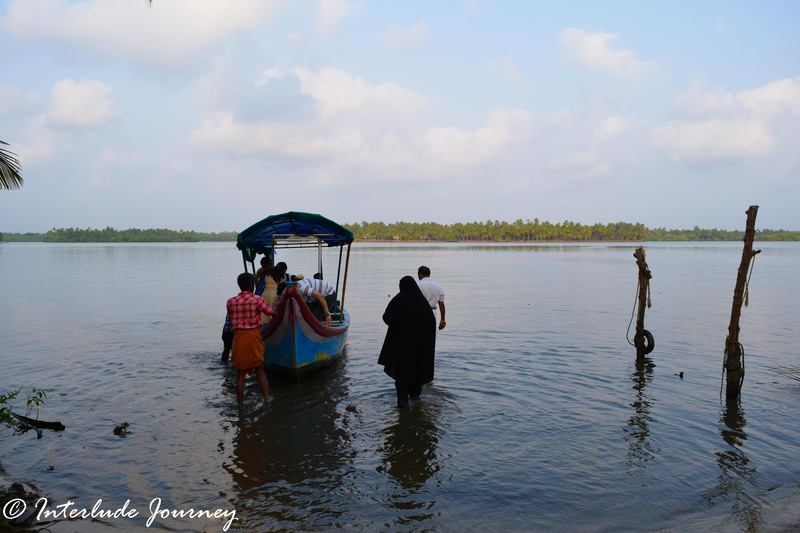 Just a few mins of boat ride away from Payyanur is the Kavvayi Island, practically a thin stretch of land extending over 3.6 km in length sandwiched between the calming backwaters and the roaring Arabian sea. Walking in the vast expanse of the golden sand beach of the Kavvayi Island which is unadulterated by tourists is one experience you should not miss while in Payyanur. The pristine beach which remains mostly secluded except a few locals who visit during the weekends is the best place to bask in sun. As the tide rises and ebbs in the sea, a bounty of sea shells is deposited on the clear beaches of Kavvayi leaving a treasure for your collection. So, unleash the child in you as you build sand castles and collect sea shells on the beach. Sree Subramanya Swami Temple at Payyanur is one of the three most important ‘Maha Subrahmanya‘ temples in South India. Payyan is an appellation of Lord Subrahmanya and Ooru meaning the place. Thus Payyanur gets its name meaning the Land of Lord Subrahmanya. The centuries-old temple built in the rare Kara style of architecture is surrounded by a 12 ft tall fortification wall while the main structure is constructed in the shape of the back of an elephant. Hundreds of brass lamps are hung around the main temple complex rendering a royal look to the stone structure. It is believed that the temple was initially constructed by Vishvakarma( The divine architect considered as the creator of the world as per Hindu Mythology) on directions of Parashurama ( the 6th avatar of Lord Vishnu). Not very far away from the temple is a huge step well filled with clear water and is home to many fish. Feeding the fish in the step well is considered auspicious and is one activity every one loves to do after visiting the temple. Kerala is known for its traditional arts and handicrafts. The idols and lamps made of bell metal or brass casting have been the pride of Kerala from ancient times. Kunhimangalam, an artistic village located on the south-eastern outskirts of Payyanur on the banks of river Perumba is home to many renowned bell metal artists. Take a tour of the village to understand how the beautiful metal crafts take shape in the hands of artisans. If you are looking for some exclusive crafts to adorn your home, this is the place to go shopping. The artists also make metal crafts on orders. Now you know where you can get a brass nameplate, lamps or exclusive idol custom made for your liking. Theyyam also referred to as Kaliyattam or Theyyattam is a melange of music, dance, mime, and drama in which performers dressed in exquisite costumes, flamboyant head gear, and jewelry dance to an artistically choreographed ritual. There are as many as 400 types of Theyyam performed across various temples or Kavus of the Malabar region in the worship of various deities and heroes from mythology. This traditional dance of worship which is unique to the North Malabar region is celebrated during the winter months from December to April. The mortal bodies of the performers personified as immortal spirits of the deities enchant the spectators as they dance in rhythm with the music of instruments like Chenda ( cylindrical percussion instrument), Elathalam ( a metal instrument like a miniature pair of cymbals) and Kurumkuzal( a wind instrument resembling a nagaswaram). You can witness the grandiose performance of the Theyyam ritual in almost all temples of Payyanur and its surroundings in North Malabar during the winter season. Kerala has been known as The land of Spices for its trade relations with the West from ancient times. As people from various geographies of the world landed on the coasts of Kerala in search of the spice trade, they got along with them various food habits which have gradually influenced the local cuisine of Coastal Kerala. The amalgamation of various food cultures from different parts of the world along with the local flavors of coconut and spices has resulted in the delectable Malabar cuisine. Blessed with a bounty of varieties of fish, mussels, prawns, shrimps, and crabs, the seafood prepared in Malabar are for sure a gastronomical delight. Get treated with different preparations of seafood infused with the subtle flavors of spices and coconut. If there is one thing you must try while in Payyanur, it has to be the world-famous Malabar Biryani and the Crab curry. The interleaving network of backwaters and estuaries spread across the north Malabar is home to mangrove forests. The mangroves have been acting as bio-shields to protect the river beds from erosion caused by the invading sea. Take a tour of the mangroves and understand how their prop roots help ecological conservation by retaining debris and sand against the tidal waves creating a biological barrier much stronger than man-made walls. The mangrove bushes are also home to some of the migratory birds which nest in the creeks and curtains of greener bushes. The backwater network of North Malabar has nurtured the aquaculture industry where many varieties of Shrimps and mussels are reared and exported to many countries around the world. While more organized establishments have well-constructed tanks for rearing the aquatic creatures, the locals depend on the free backwaters for their daily catch. As the oceanic tide ebbs and the backwaters get shallow, you can see many local fishermen wade into the waters trying to catch the prawns and shrimps with bare hands. It is a delightful sight to see them almost submerged in the waist deep water to explore the riverbed in search of livelihood. Since Payyanur is not a very touristy place, the choices for accommodation are quite limited. There are a few budget hotels in the town decent enough to stay. But if you wish to experience both backwaters and beach, you should stay at one of the homestays available at Kavvayi Island. During my visit, I enjoyed my stay at Kavvayi Beach House. Another option for a stay on the island is Avisa Beach House. So, When are you booking your ticket to this piece of paradise hidden in the North Malabar? Payyanur is indeed a hidden gem. Love the fact that it does not fall in the tourist circuit which makes it all the more alluring. I like the look of the secluded beach in Kavvayi Island. I can see this is a great getaway and would definitely get there over one of the long weekends. Payyanur sounds like a wonderful place to visit and rediscover over and over again. I would just LOVE to visit Kavvayi Island. I enjoy finding beautiful seashells to bring home to family members. Absolutely beautiful! Kavvayi Island looks like a great place to relax. I would definitely love to visit this as it is not crowded. Such gorgeous photos! The food also sounds amazing! I love the liberal use of coconut! Payyanur seemed to be very interesting. It’s is rich in history and culture as well as blessed with scenic sites. Wow! I would have never known there are such gorgeous beaches there! Looks like our type of place, considering it’s not touristy. I would love to stay at one the homestays and just experience this wonderful place! Thanks for introducing us to this hidden paradise! loved the beaches of Kavvayi island, but I was really awestruck by the metal art. You can really appreciate the hard work that went into that piece! I have always been aware of that Kerala has many hidden gems but not aware of all of them. And here comes your post which is unboxing one such great gem – Payyanur. And also loved the fact that it not very known and explored which makes it even more adorable and naturally preservable. Great article about this place. Will definitely love to visit this very soon. And activities suggested by you sounds quite interesting. I must admit that I have never heard of that place before so it seems it was about time that you wrote that post! Thumbs up! Amazing pictures you took! I guess India is totally worth a visit but I am a little bit afraid of the food. A friend of mine got sick because it was too spicy for her. Looks like a great local adventure! I love immersing in cultures. I have not heard of this place. I would be totally interesting in the brass or metal work.